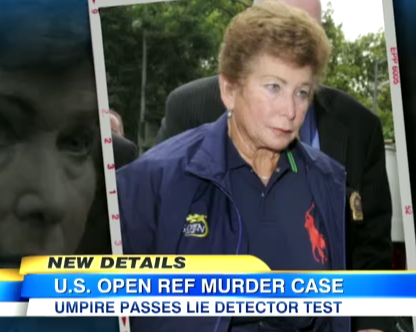 Dan appeared on Good Morning America today alongside fellow legal analyst and sometimes-foe Nancy Grace to discuss the case of U.S. Open Referee Lois Goodman. She has been charged with murdering her husband with a coffee cup, and allegations of an affair have begun to swirl. 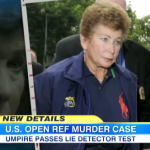 But Goodman, 70, passed a lie detector test administered by the FBI. Of this polygraph test, Dan says: “Lie detector tests are used all the time in the context of investigations, and what probably happened here is her lawyer probably said to her ‘don’t take a lie detector for now’ because he or she probably didn’t know what the result might be… says you ‘you know what, we’re gonna do our own lie detector, bring in someone who’s unassailable, someone who’s literally led the FBI polygraph unit, and now they’re saying that this means a lot, the fact that she has passed this lie detector test. I don’t think the authorities will be swayed, but I think it’s a significant piece of evidence.” Nancy, unsurprisingly, disagrees and thinks that only the physical evidence (the shards of the coffee cup in her husband’s face) will hold, especially since Goodman would only agree to a private polygraph test and not a state-administered one. Watch the full segment here.